Online fashion and lifestyle retailer, Myntra has now moved into its swanky new open office space. 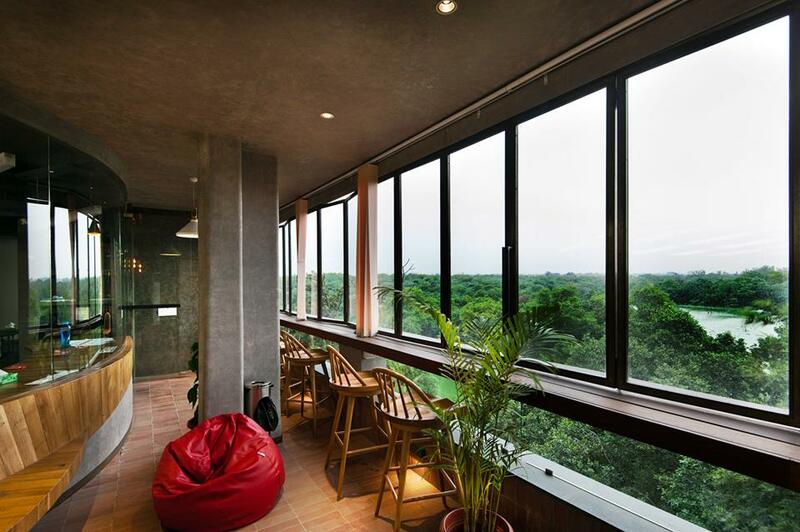 The new Myntra’s office is one of the sexiest workplaces that we have come across in the country so far. Keeping to the theme and identity of Myntra in mind, they have created a space which is unique for a tech startup, but very much along the lines of what a major fashion label’s office could be. Designed by Ranjeet Ramakrishan, founder of Okdone design, the new office represents the glamorous image of Myntra in all it’s glory. With it’s vision, the Myntra’s new workplace is equipped with everything linked to fashion – a live ramp (will models walk the ramp throughout the day? ), fashion and magazine departments for the editors and the creative department engaged with it, a photographer arena, designers room, a gym and recreational area and a great cafeteria for its employees. There is not a single wall that has been left empty. Every floor, every room is inspired by the Mondrian Dress. Myntra is set to recreate Manhattan street in the IT city and employees seem to love it. According to the Vice President of Myntra, Srinivas P Reddy, this would help employees to hone their skills and productivity in such an environment. So what did you think of Myntra’s new office? Isn’t it cool?